Algiers, Algeria | AFP | Ailing Algerian President Abdelaziz Bouteflika on Thursday warned of the risk of “chaos”, on the eve of a major planned protest against his bid for a fifth term in office. 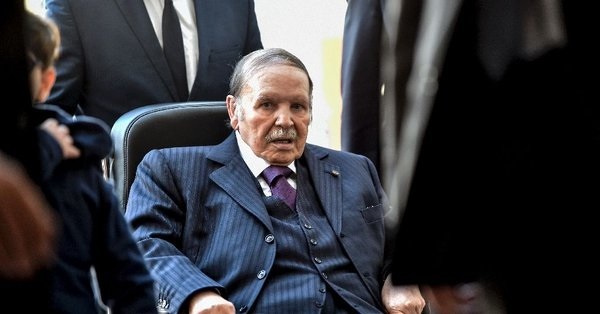 Bouteflika, 82, uses a wheelchair and has rarely been seen in public since suffering a stroke in 2013, and his bid to secure another term at the April 18 election has sparked waves of protests. Despite a ban dating back to 2001, demonstrations have been staged almost daily in Algiers since a massive rally two weeks ago, and organisers have taken to social media to call for another one on Friday. Bouteflika has been in Switzerland since February 24 for what the presidency has described as “routine medical tests”, and a date for his return home has not yet been announced. In a message released on Thursday by the official APS news agency, Bouteflika warned trouble-makers may try to infiltrate the demonstrations to provoke turmoil. 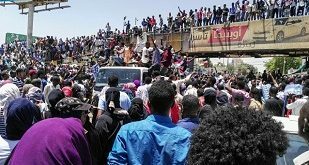 “Many of our fellow citizens” have demonstrated across the North African country “to peacefully express their views”, he said. He made no mention of demonstrators’ demands he back down from his bid to seek re-election. But echoing other senior Algerian officials, he warned of a return to the “national tragedy” of Algeria’s decade-long civil war and of the “crises and tragedies caused by terrorism” in neighbouring countries. But discontent, particularly among the country’s youth, turned to anger on February 10 after the veteran leader announced another bid for power. His statement on Thursday came as around 1,000 lawyers took to the streets of the Algerian capital, saying his ill health should disqualify him from the race. 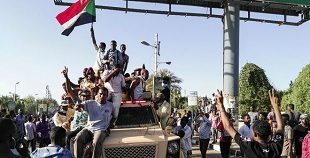 They breached police cordons to march on the Constitutional Council, the body responsible for approving the candidacy of the 21 people registered to contest the poll. 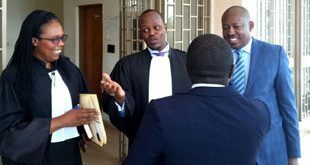 As they demonstrated through the capital, the lawyers were applauded by passers-by, according to footage uploaded on social media. “We are asking the Constitutional Council to assume its responsibilities,” protester Ahmed Dahim, a member of the Bar Association of Algiers, told AFP as colleagues chanted “No to the fifth mandate”. “This candidacy is inadmissible,” he said, adding Bouteflika’s re-election bid should be rejected because there was no way he could have obtained the required medical certificate. Algeria’s medical association said on Wednesday that health certificates submitted by presidential hopefuls must respect “medical ethics” and be drafted by doctors who are members of the association. On Thursday, Bouteflika’s campaign manager Abdelghani Zaalane said the president’s health raised “no worries”. The medical examinations Bouteflika has been undergoing in Switzerland were nearly completed, he said. The premier has seen support slip in important quarters, including three powerful organisations for veterans of Algeria’s independence war, which backed him in previous polls. On Thursday, the National Organisation for the Children of Martyrs (ONEC) released a statement supporting “the popular movement against the fifth term” — although an ONEC official told AFP the statement did not represent the organisation as a whole. In power for two decades, Bouteflika has promised if he wins the election he will organise a “national conference” to set a date for further polls which he would not contest. But his pledge has failed to end the demonstrations against him, which have continued daily since February 10, drawing Algerians from all walks of life. Dozens of journalists from private and public media outlets also gathered on Thursday for the second week in a row at Press Freedom Square. They have been protesting over “pressures” being exerted over their coverage of the demonstrations against Bouteflika’s re-election. On Thursday they sought to show solidarity with the Arabic newspapers Echorouk and El-Bilad. Journalists from the two dailies say the publications have been deprived for days of advertising by public institutions in retaliation their coverage of the protests. The police, who arrested a dozen journalists at last week’s protest, did not intervene at Thursday’s demonstration.